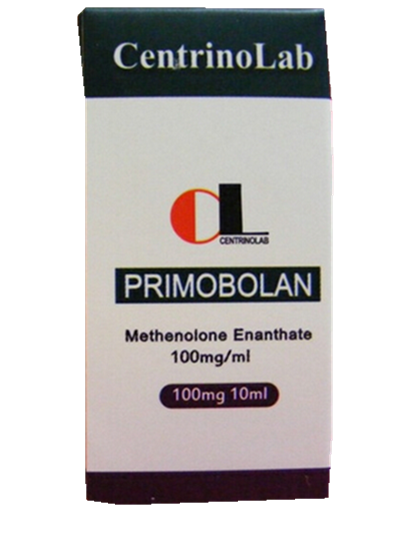 Primobolan (methenolone acetate) is one of those anabolic steroids which has a cult following not unlike the old original version of Masteron. Actually, as you can easily see from its anabolic:androgenic ratio below in the profile, its a pretty weak steroid but actually stronger(!) than Masteron in both regards. I dont know anyone who has run both compounds at the same dose. We are probably justified in speculating that youd probably get similar results from either of them, when you consider the fact that you are getting quite a bit less actual drug and more ester when you choose injectable Primobolan (which has the very long Enanthate ester attached to it) over Masteron (which has the very short propionate ester attached to it). In truth, I think part of the reason many Primobolan users have been disappointed is that they failed to use enough of it, for long enough. From its chemical structure and anabolic:androgenic rating, we can assume it is at least as effective as Masteron, on an equal Mg for mg basis. However, due to its ester (in the injectable version), it needs to be run for at least 12 weeks to see the full benefits from it. When you consider a measly dose of 400mgs of this stuff for 12 weeks will probably cost you around $500. Testosterone Treatment only $199/month All-Included Although nobody would ever suggest to use Primobolan as a bulking agent, its been studied as an agent to halt wasting and possibly reverse many of the adverse effects of anemia. It is a shocking failure in both areas, according to some of the case studies Ive read, (5)(6) and this should come to no surprise to anyone. Anadrol reigns supreme in this area, and nobody in the athletic community would ever compare those two drugs. However, Michael Mooney and many other respected doctors who work with AIDS patients have found sufficient evidence to claim that Primobolan is an immune enhancer and as such is very useful for AIDS patients (not that the FDA cares...Primobolan is still not approved for sale in the United States). AIDS patients arent really in need of Bulking Drugs, so an immune enhancer like Primo which will add small, quality gains in muscle is perfect for them. And since we arent even going to vaguely consider the use of Primobolan as a bulking agent, clearly this leaves us with considering it primarily for use in gaining and maintaining lean tissue. Its a great choice for this purpose, and many competitors have used it very successfully to retain muscle while on a calorie reduced diet. The reason Primo is so useful for this purpose is that one of its primary functions is to help your body retain nitrogen (7) at a greatly enhanced rate. The greater your nitrogen retention is, the more muscle you will build. In the case of using primo as a pre-contest drug, this nitrogen retention will help you retain muscle and ensure that your dieting preferentially favors fat loss over muscle loss.